We here at Ft. Lauderdale Airboat Rides understand that people looking for airboat tours through the Everglades want it to be a truly unique experience unlike any other. They want to feel the wind against their face as they glide across the water. 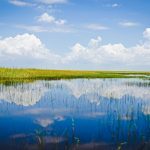 Enjoying the true beauty that the Everglades has to offer can be difficult when on a public tour, where several groups board an airboat together. 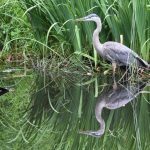 On those public tours, people may yell and talk throughout the trip, severely impacting the trip for some looking to really discover the Everglades and learn more about it. Ft. Lauderdale Airboat Rides offers their own private tours so groups can really uncover the Everglades and learn about a whole new world. Ft. Lauderdale breaks their tours into one-hour rides and two-hour rides. Whether looking for a nice family event to spend the day, an exciting experience, or to get closer to the environment, there are different options to cater to these preferences. Our one-hour tour is a brisk experience on our custom-built 300 horsepower aluminum airboat. The high speeds experienced on this ride are a thrilling experience as passengers glide across the top of the water and through the sawgrass. Our private airboat tours only allow for a limited number of people onboard, allowing them to really fly through the Everglades and provide the most exhilarating tour possible. Due to the time limit, our one hour tour doesn’t go very deep into the Everglades compared to our two-hour tour. At $275, our private one hour tour includes two passengers, with each additional passenger costing $75 for adults and $35 for children. 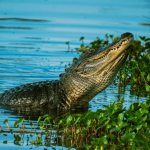 Ft. Lauderdale Airboat Rides’ two-hour tour is the best available private Everglades tour for those looking to get an in-depth look at the Everglades. Along the trip, we make several stops so passengers have an opportunity to take photos and see some unique spots within the heart of the Everglades. Our two-hour tours also offer the opportunity to see of the animals that are naturally found within the Everglades, such as the Florida Panther, American Alligator, and American Crocodile, as well as wide variety of birds including the Ibis. Those looking for the truest Everglades tour would be sorely disappointed if they didn’t take this trip. The price of this tour is $375 for two passengers and each additional passenger costs $75 for adults and $35 for children. Whether capturing a glimpse of the nearby wildlife while zooming by it or getting up close and personal with the character and charm of the swamp, our airboat rides can provide that experience. Call Airboat Rides Ft. Lauderdale now at (954) 338-4890 to schedule a time for a ride. We allow scheduling flexibility if the weather does not permit.